We're pretty excited. The second ever Little Red Umbrella Variety Spectacular is coming up on next week: on Friday, January 20th at the Holy Oak Cafe. We've lined up a night's worth of performances by some of our favourite performers, all free, with 10% of bar sales going to the AIDS Committee of Toronto. There will be magic and storytelling and comedy and music. 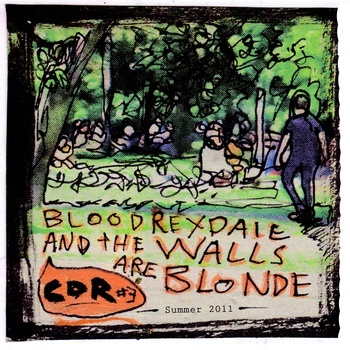 Which brings us to Blood Rexdale and the Walls Are Blonde. The Toronto band, made up of David Kleiser and a rotating cast of friends, will be playing a set of their washed out, shoegazey songs. And so that you can get to know him a little better in the lead up to event, we got Kleiser to answer some quick questions. 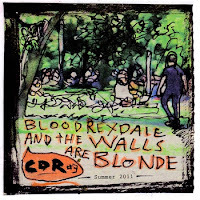 You can scroll down to download some free MP3s off the Blood Rexdale Bandcamp page. And you'll find the Facebook invite to the Variety Spectacular here. 1870s or 1960s. I simply cannot decide. Who, in your opinion, has/had the best facial hair of any band ever? Who was your favourite band (or artist) when you were 12 years old? Do you still like them? Slipknot, occasionally I'll listen, it's real mood music. A lot of other things survived though, my favourite video games and visual artists mostly: gta 3, Ed Templeton, Sam Keiths "The Maxx". Let’s say you could pick on film director ever, living or dead, to reflect your musical style by directing a music video for you. Who would be best for it?